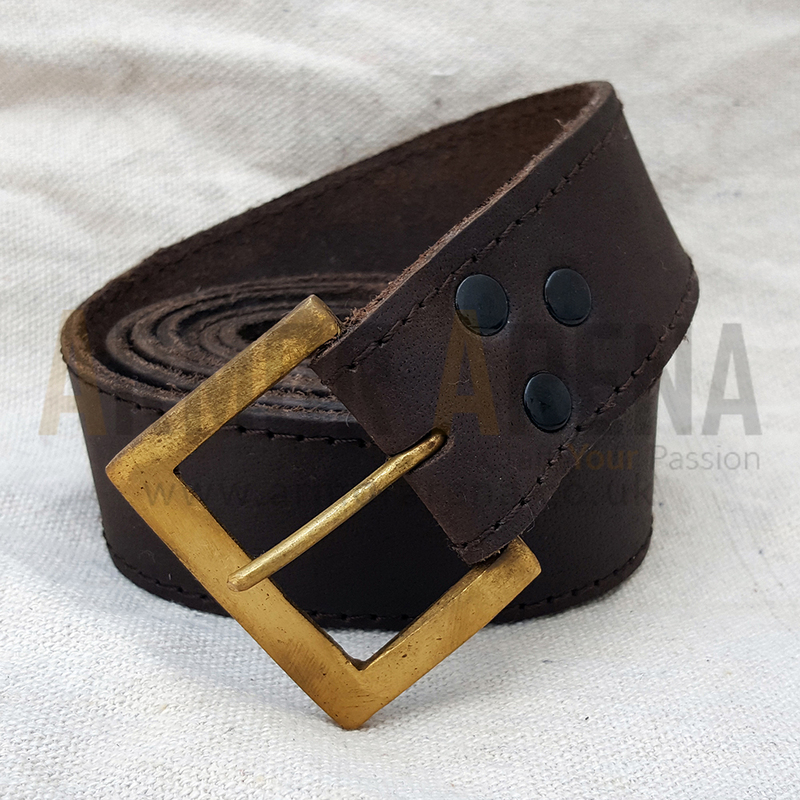 This Belt is made from Split Leather (Upper Leather optional) and a Brass Buckle. You can use it as a weapon carrier or simply wear it on your costume. 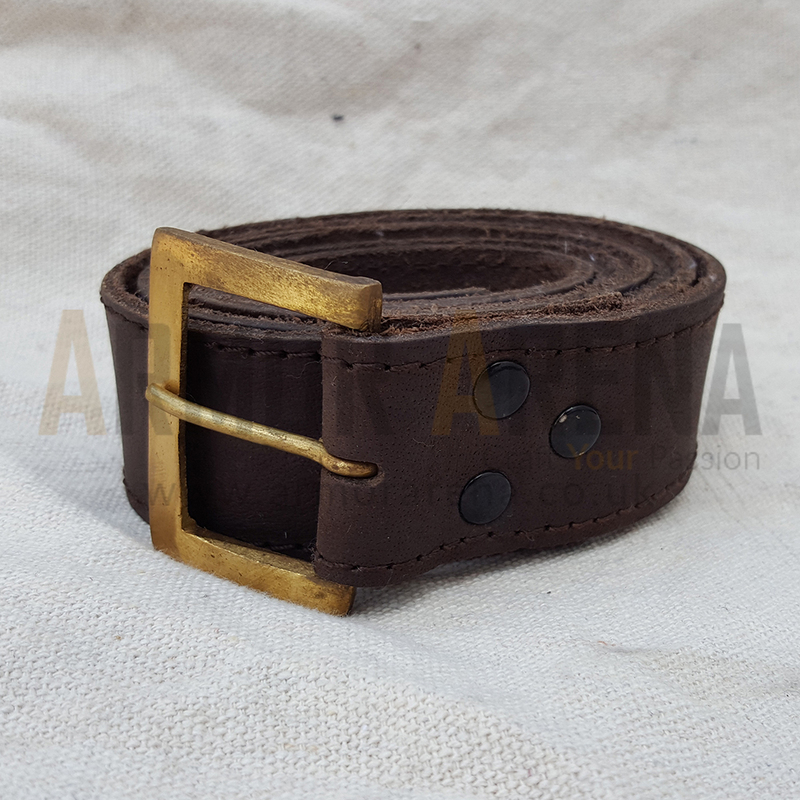 Material: Split Leather (Upper Leather optional) and Brass Buckle. Available Colors: Black and Brown.